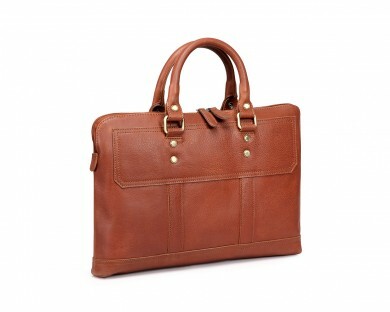 I like the classy and professional looks of this bag. The leather is supple and the color looks better than the pics. Fits my MacBook Pro 15-Inch, documents, one large textbook, portable charger and cable. I keep my iPad in the front pocket. I've had many compliments from friends and colleagues. Thanks.